Seventeen-year-old Irena clutches all of her belongings, waiting to be processed through Ellis Island in 1892. She hopes for a better life than she had as a Slovenian maid. Against the backdrop of the Wyoming cattle wars, an Irish neighborhood in Chicago’s meat packing district, and through the depression of the 1890s in Durango Colorado, Irena must tap into unknown strengths and learn to love herself and her husband in order to find her way home. Longing for Home is a tale of exploration, love, hardship, resilience and finding one’s place in the world, set against the backdrop of the great American Age of Immigration. THE BACK STORY: Lisa Wayman wrote ‘Longing for Home’ to explore her own heritage as well as work out what it means to find a home and family. She has many Native American friends who formally introduce themselves with their tribe, band, family and name. Lisa is at a disadvantage because she don’t know her tribe and band. She is the great grand-daughter of Slovene, German and Irish immigrants and told this fictional story to explore the culture of her ancestors and to honor the ‘huddled’ masses of immigrants to the US. Lisa is also a navy brat with an itinerant childhood who has spent much of her adult life looking for home. This novel let her explore what home and family means through a fictional character – the Slovene immigrant Irena. Lisa has written professional articles for nursing journals and autobiographical chapters for books which explored her experience of grief after the death of her 12 year old son. Her story was told through words and visual art which can be seen at Lisa’s art. WHY THIS TITLE: ‘Longing for Home’ is a title that looks forward and backwards at the same time. The main characters of the book look backwards to their homeland and forwards to a new home in the US. The title evokes the longing that we all have to find a place that we belong. WHY SOMEONE WOULD WANT TO READ IT? 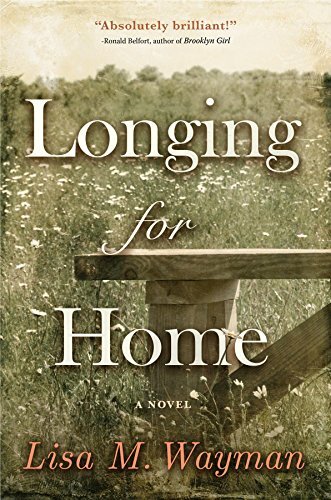 : ‘Longing for Home’ is primarily a compelling story of a strong, relatable female protagonist who meets the challenges of immigration in the 1890s with courage and resilience. The characters relationships are realistically compelling and complex. The reader will be drawn into the story and will hopefully love the characters as much as their creator does. This book will appeal to anyone who has immigrant ancestors or who wonders what it was like to leave a homeland and make a new home in the US. ‘Longing for Home’ honors the lower class of the 1890s guilded age. The book also explores what it means to be Slovenian. There are hundreds of thousands of Slovene Americans and few works of historical fiction that tell their story. This is also a book about Irish Americans, there are 39.6 million Irish Americans. “I wish everyone in the United States could read this book to reexamine our immigrant status in this time where the varieties of viewpoints on immigrants is so important.” -Dr. Tim White, senior pastor at Washington Cathedral, and author of To Dreamers Long Forgotten, and the upcoming Ulysees Dream. 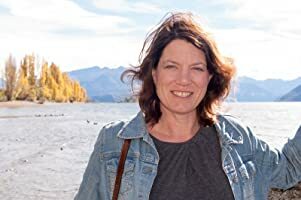 AUTHOR PROFILE: Longing for Home is Lisa’s first foray into fiction. As a PhD nurse researcher she learned to delve deeply into the facts and has extensively researched the historical context for this story. However, this story is much more about the people than it is about history, and in this aspect Lisa’s nursing background has been most informative. Lisa has had the honor of being a nurse for more than 20 years. As a nurse, she has cared for all types of people: rich and poor, resilient and struggling, healing and dying. Her nursing experiences give Lisa a unique view of human nature and informed the responses of the book’s characters. Lisa deeply loves the characters and hopes you find that Irena’s story of struggling to meet the demands of her time and her quest to find where she belongs resonates with you. Lisa lives in Phoenix Arizona with her husband of 32 years, Charlie. She has a grown daughter, Katrina who lives with her husband Chris in New Zealand where Lisa visits whenever she can. AUTHOR COMMENTS: “I wrote this book to explore where my family came from. I enjoyed learning about Slovenian myths and folk takes. I also downloaded recipes and tried out some traditional dishes. I put my main character, Irena, in the middle of an Irish neighborhood in Chicago so I could also explore my Irish heritage. The characters struggle to discover what it means to be American and how to hold onto their heritage while embracing their new home.